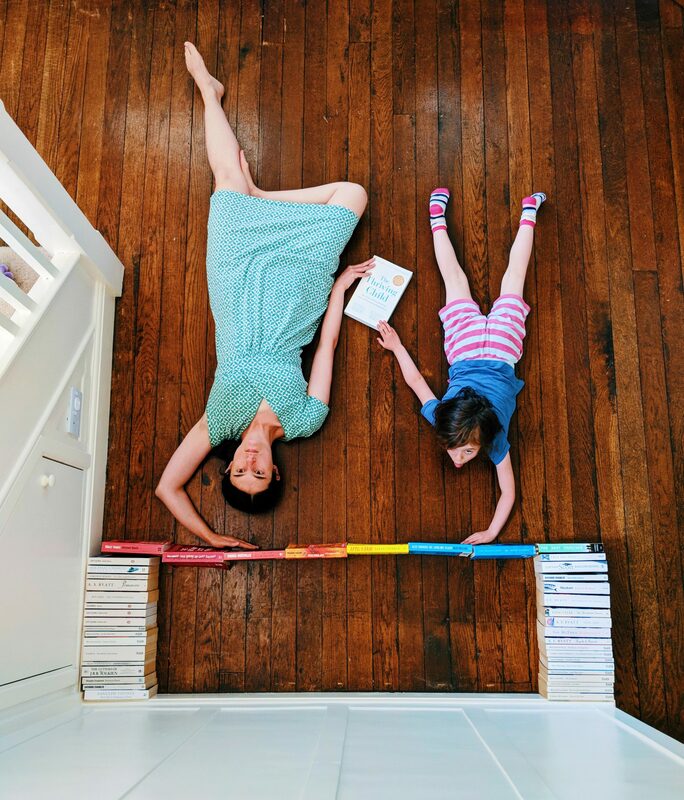 I read a whole bunch of parenting books when Little M was a baby and then stopped – mainly because nothing really seemed to answer the questions I had and partially because there was too much choice, but as soon as I spotted The Thriving Child in a Penguin Random House Instagram giveaway, I sensed that it could really help our family. Like many 5 year-old kids, Little M is a child of two halves fluctuating between being fiercely independent and pretty clingy. She also has a wild imagination which can make her prone to anxiety so I was keen to see if this book could offer any tips on how to encourage resilience. Yes and more. What I love about this guide is how it veers away from trying to force your child down the standard path of academic achievement. Instead it advocates letting them make their own choices (within reason!) and learn the art of self-motivation. It sounds fairly radical, but when you sit down and work through it, there’s a lot of common sense in the advice. The parent takes a consultancy role rather than being a micro-manager and there are lots of case studies in the book to explain how to apply the approach in real life situations. The authors have bags of experience when it comes to helping children achieve their full potential and you get the full benefit of their knowledge as you read the book. The bulk of the guide focuses on older children and is written for the US market, but the tips can be applied to all children and I’m really glad that I’m aware of these techniques while Little M’s still young. I’d much rather that she has the tools to develop her own passions than be pushed down a route that might not suit her skills. And if she learns how to cope with and push through inevitable setbacks on the way then even better. We won this copy of The Thriving Child: The Science Behind Reducing Stress and Nurturing Independence by Dr William Stixrud & Ned Johnson (published by Penguin Books). All words and pictures are our own.